Spring has sprung and summer is here, which means by now you should be well on your way to sprucing up the old homestead. In my house this means a top to bottom deep clean; including a house full of cream carpets and a rather tatty classic mini. 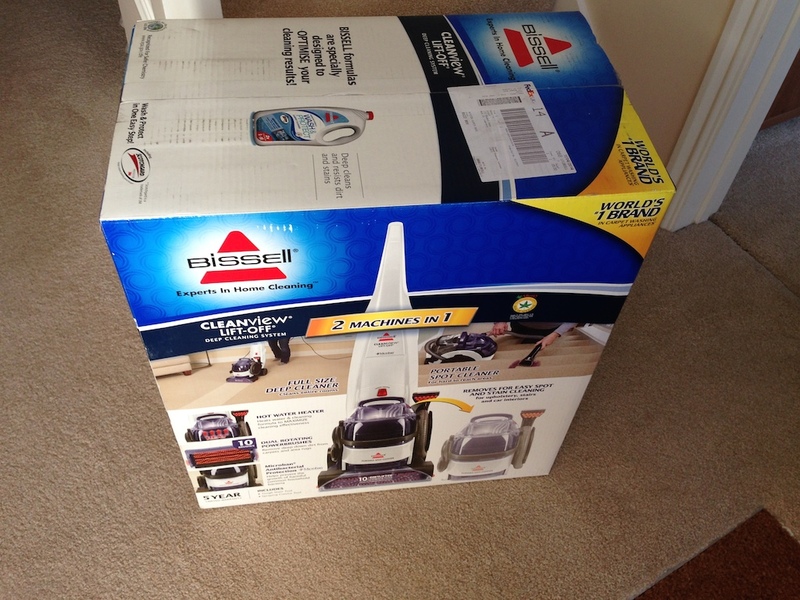 Over the years I’ve tried lightweight cleaners, steam cleaners and even hired out cleaners but this year I’ve gotten my hands on a BISSELL 22K7E Cleanview Lift Off Carpet Cleaner. 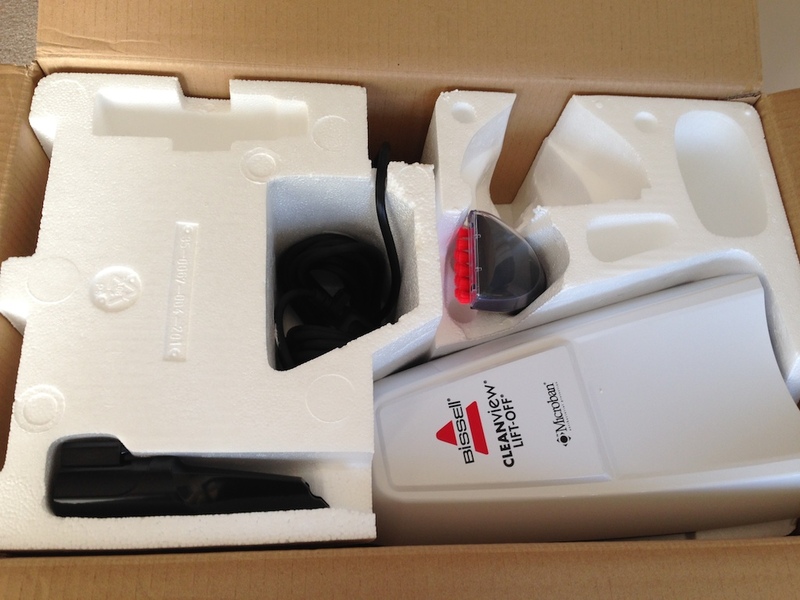 The box is well packed and allows the easy removal in two pieces. You’ll need to grab your screwdriver, pop the handle on and insert 4 screws. That’s the extent of initial setup. It goes together easily, looks robust and is heavy enough to work efficiently. Readying the machine for cleaning is equally simple as you lift off the clean water container, unscrew the plug, add water and then do the reverse. Drop the water container back on the machine and you’ll be ready to clean. Bissell has also included a heating element within the Cleanview to keep water warm when in use. This apparently promotes a better clean and as we found out means carpets and upholstery tend to dry quicker too (unlike a RugDoctor I used last year that took forever to dry). 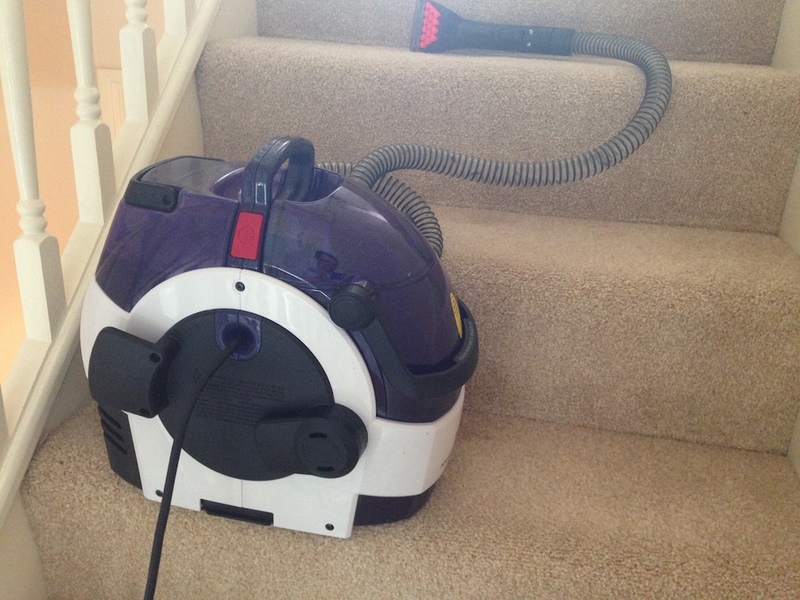 The Cleanview Lift Off in combination with the floor unit feels robust and well put together when in use. The weighty cleaner combined with a powerful suction ensures you get the majority of water out of the carpets. This is mightily important because otherwise all you’ve done is watered down the dirt and not removed it (previous cleaners I’ve reviewed have suffered with this problem). This also meant our carpets were dry in a matter of hours. A dual brush bar (those bright orange spikes you can see through the clear spray panel) really agitates and separates the long carpet fibers too. The net result is a carpet that looks like new and, once dry, has a springy feeling under foot. This works on tough stains too; as demonstrated with the photos above. I’ve tried a fair few cleaners over the years and this one is by far the best ‘at home’ solution I’ve come across. 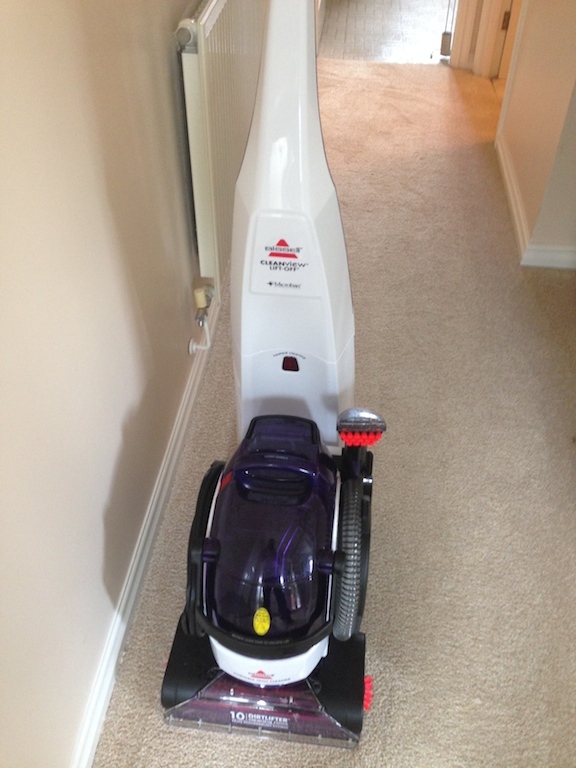 It has all the tools you could possibly need, great dual carpet agitators and powerful suction. One gripe could be that it is a little heavy when lifting as a single unit; but the fact you can lift the smaller cleaner off makes this a moot point. Another is that it isn’t cheap, but the build quality is excellent and as the saying goes you really get what you pay for. 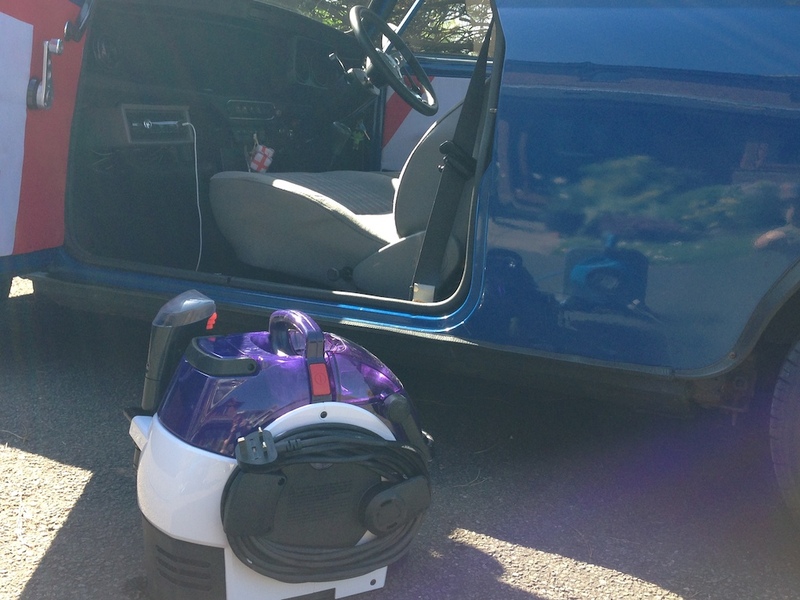 It goes together well, gets dirt out of carpets and upholstery and doesn’t make a fuss in the process. All-in-all I’d say this is a great solution to the age old quest of keeping cream carpets clean. The box is massive but well packed. The lift off section fits nicely on the stairs and isn’t too heavy to manoeuvre. I was very encouraged to find this site. I wanted to thank you for this special read. I definitely savored every little bit of it and I have you bookmarked to check out new stuff you post…..